It is pumpkin spice season! One of my favorite flavored seasons of all! Look around you will find pumpkin flavored everything, from coffee drinks, to yoghurt, to pumpkin flavored dog treats (it is true I have seen them with my own eyes!) there are so many pumpkin spice options out there these days! 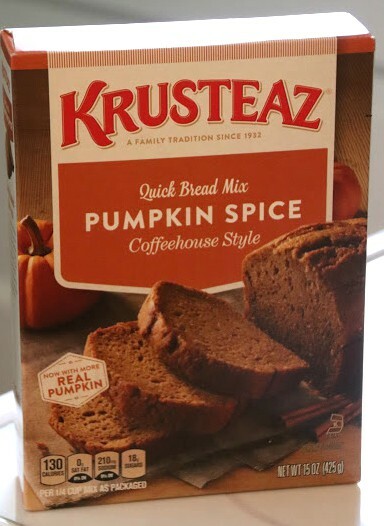 Krusteaz is bringing back the classic pumpkin spice treats you love, including the Pumpkin Spice Muffin mix, the Pumpkin Spice Cookie mix and the Pumpkin Spice Quick Bread are back to help you whip up some great treats. I wanted to put my spin on one of my favorite Krusteaz products the Pumpkin Spice Quick Bread. I love to make spiced bread, from pumpkin bread, to apple bread to banana bread, for me breads are the perfect quick treat. A great sweet to bring to a family get together because they tend to travel well and made a great dessert or snack. I wanted to make the classic Krusteaz Pumpkin Spice Quick Bread a little sweeter and nuttier. I came up with some little tweaks and a great topping, here is a recipe for Pecan Crumble Pumpkin Spice Bread. Directions: Preheat oven to 350 degrees. Prepare the crumble and the bread in separate bowls. For the crumble, use a fork to incorporate chilled butter, brown sugar and flour until completely mixed, mixture will be lumpy, then add half of the pecans, set aside. For bread mixture, mix eggs, vegetable oil, water, cinnamon, pecans and dry mixture, until well blended. Pour into greased bread pan. Top with crumble topping. Bake for 60 minutes. This was delicious, and super easy to make. The bread was moist and the topping had just the right amount of crunch and buttery sweet pecan flavor. My family loved trying this and I shared a bit with my coworkers as well. One described this as decadent, and amazing. Well that is a pretty good complement. If you would like to jazz up some Krusteaz Pumpkin Spice Quick Bread (which is amazing on its own or kicked up, either way it is yummy) just add a crumble and some pecans and you will get a sweet treat the whole family will love! This will make a great addition, to a fall get together, or if you would like to bring a little something to Thanksgiving. Does this seem like something that your family would like to try? The generous folks at Krusteaz are giving one of Susan’s Disney Family readers a chance to Krusteaz Pumpkin Spice mixes. Would you like to enter? Please check out the Krusteaz website, and take a look around then come back here and tell me a product you would love to try and why. There are also other ways to enter, please enter below. You can purchase some great Krusteaz mixes at your local supermarket. Visit the Krusteaz store locator to find a store near you. One winner will win Krusteaz Pumpkin Spice mixes! Disclosure: The reviews and or opinions on this blog are my own opinions . 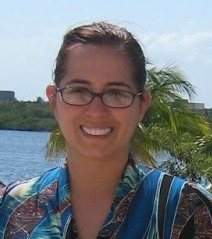 I received a gift and mixes and goodies to facilitate this post. No monitory compensation was received. I was not required to write a positive review. Your experience may differ. The opinions I have expressed are my own I am disclosing this in accordance with the Federal Trade Commissions 16 CFR Part 255: Guides Concerning the Use of Endorsement and Testimonials in Advertising . We have tried almost all of the Krusteaz mixes they make, from cookies and muffins, to cornbread and pancakes. I like the Spiced Pumpkin Pecan bread and the Pumpkin Cresent Rolls recipes. I absolutely love their cinnamon swirl cake/muffins. I would love to make the pumpkin bread! My twins would love it! The recipe I want to make on the Eagle brand website is Almond-Coconut Coffee Cake. Would like to make the Coffee Spanish Torrijas. I would like to try the Triple Chocolate Chunk Cookie. I'd like to make the Pumpkin Cheesecake. I would really enjoy making a pumpkin spice bread or muffins at this time of year. I would like to try making their Triple Chocolate Chunk Cookies! I would love to make the Triple Chocolate Chunk Cookies! I WOULD MAKE THE PUMPKIN CHEESECAKE. I would like to try the Hazelnut Waffles. The Krusteaz Pecan Crumble Pumpkin Spice Bread recipe looks astounding. I cannot wait to taste your special recipe for dessert after my next meal served up with sweet potatoes. I thank you so much for the directions on this delicious treat.